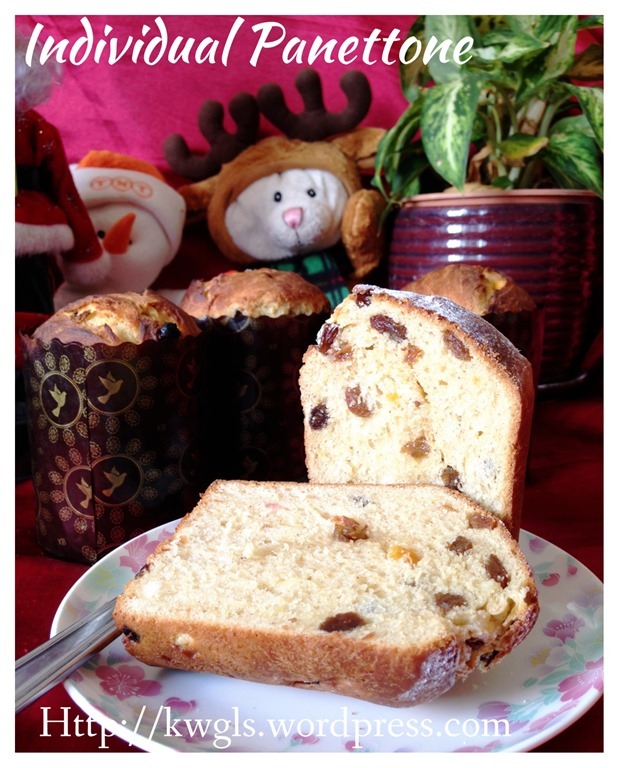 “Panettone (pronounced /ˌpænəˈtoʊni/, Italian: [panetˈtoːne]) is a type of sweet bread loaf originally from Milan (in Milanese dialect it is called paneton /paneˈtuŋ/), usually prepared and enjoyed for Christmas and New Year in Italy,south eastern France, Spain, Portugal, Brazil, Peru, Malta, Germany and Switzerland, and is one of the symbols of the city of Milan. 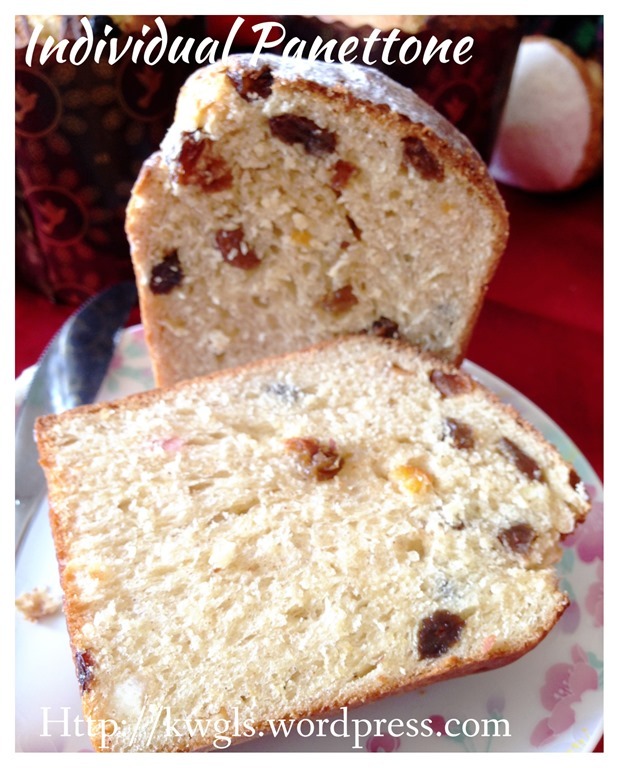 In recent years it has become a popular addition to the Christmas table in the United Kingdom. In South America, especially in Peru, Argentina, Paraguay, Uruguay, Venezuela, Colombia, Bolivia, and Chile, it is a Christmas dinner staple and in some places replaces roscón de reyes/bolo rei (King cake). 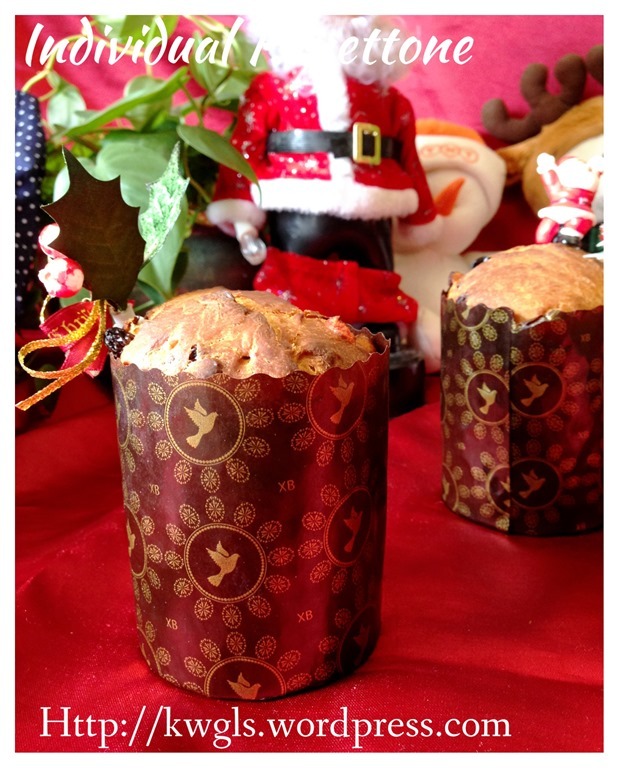 Looking at the definitions of Panettone above, one will know that traditional Panettone will requires long hours or even days of proofing. 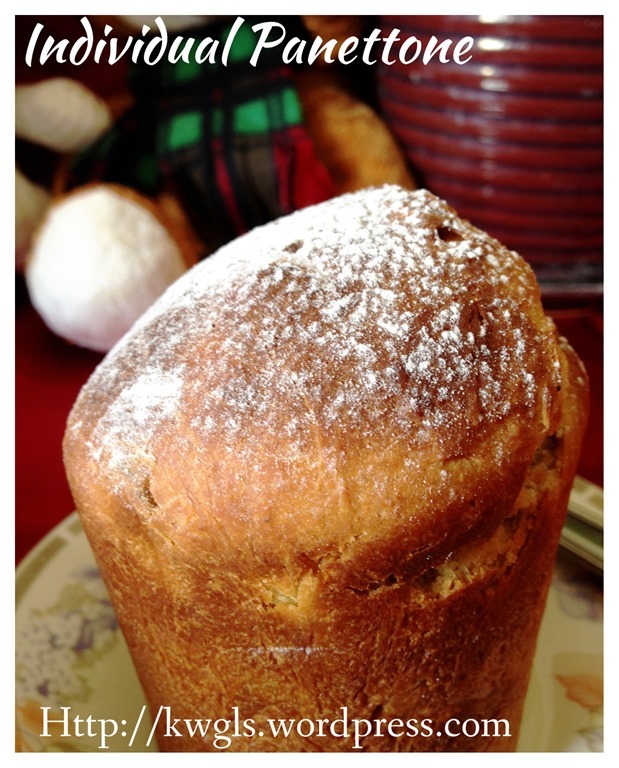 It is a huge but tasty and rich bread.. 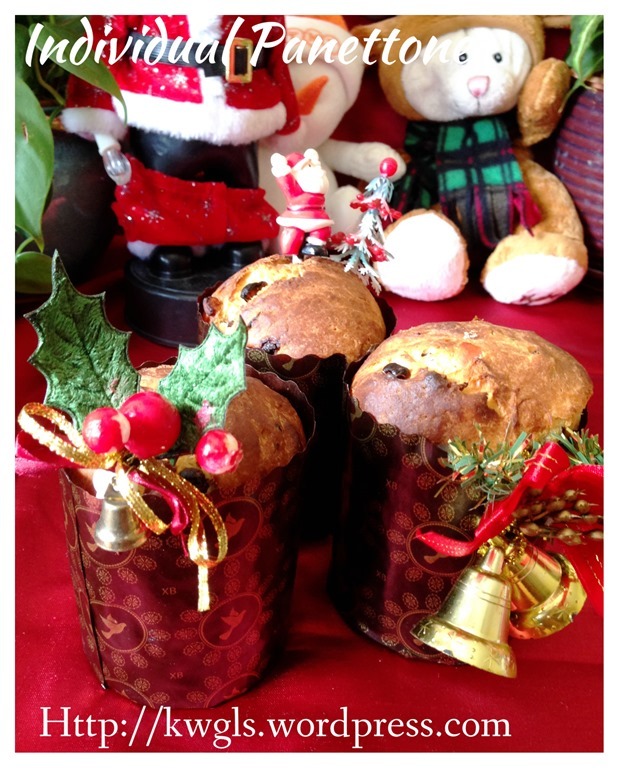 In fact, it is rather difficult to prepare the traditional or commercial version of Panettone if we do not have a special big mould designed for the preparation of big Panettone. 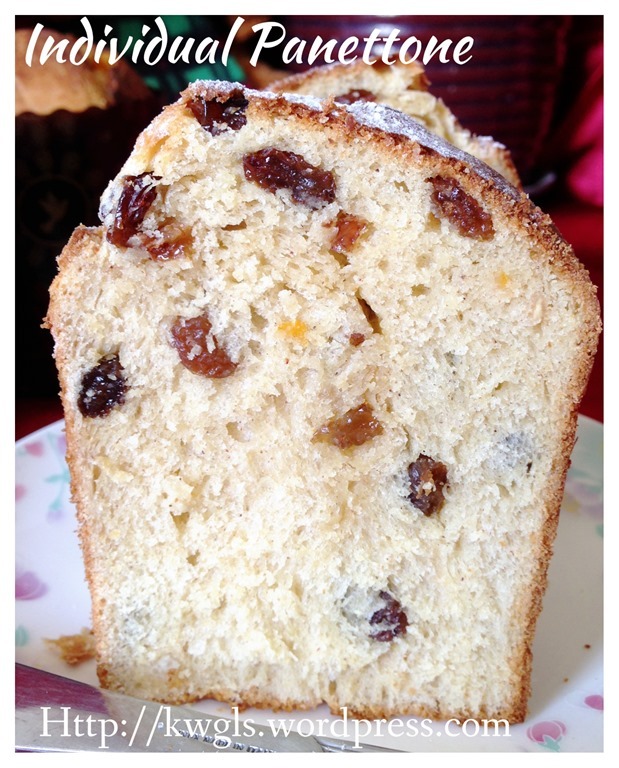 Don’t worry, this recipe is the individual Panettone recipe that is easy and fast and requires no special baking equipment. 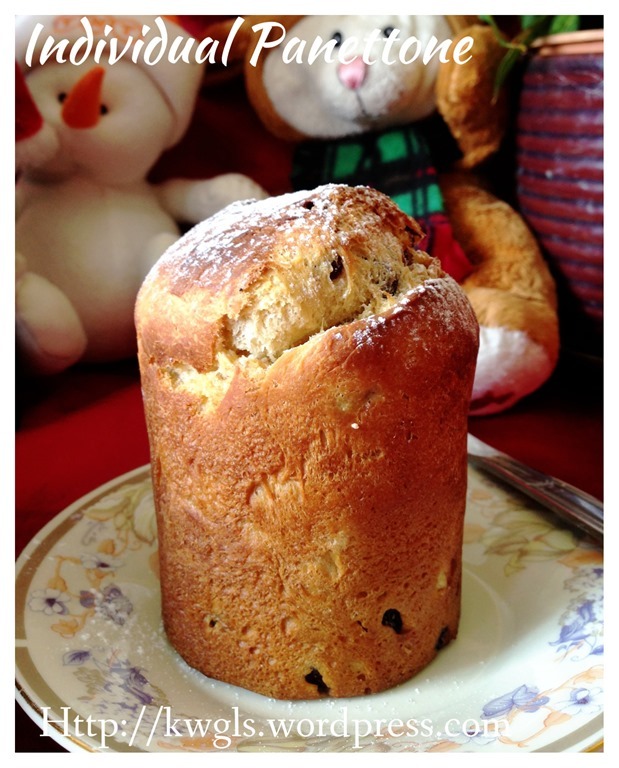 It is about 12 cm tall and the taste and texture are equally awesome. For such a size, it is just nice for a small family of 3-4 and not to mention it can be prepared at a fraction of cost as compared to store purchased…The only think that you might need is to search for some tall muffin cups and I get mine rather easily in Singapore bakery. 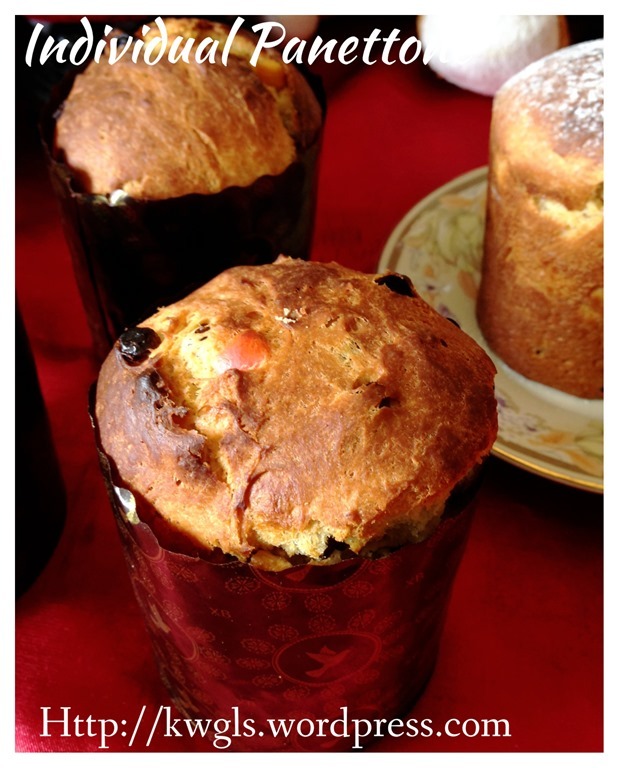 If you are not concerned about the height, feel free to use the normal muffin cups in the preparation. 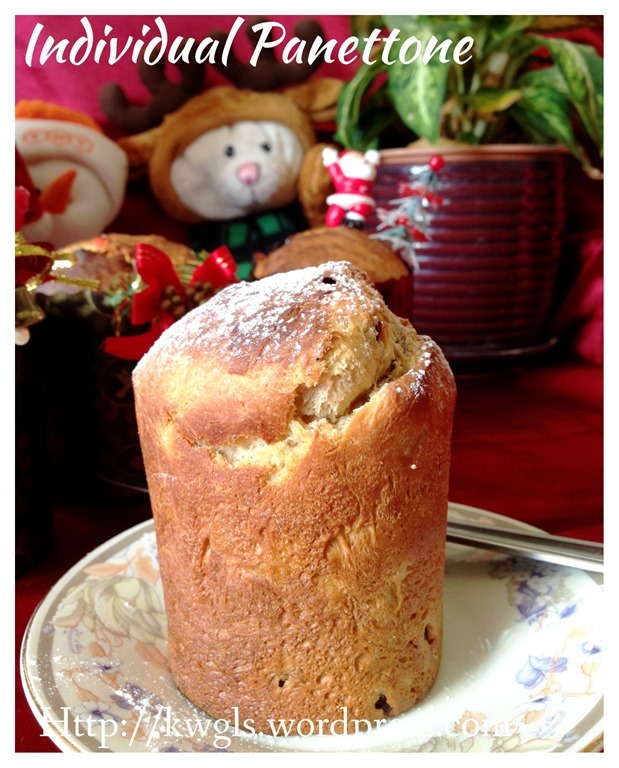 Remember that if you can’t finished the Panettone, keep it until Christmas is over, use these stale Panettone to make some delicious bread puddings. It is an excellent choice for bread puddings because the bread in itself is already tasty and aromatic..
60 grams or ml of Marsala wine or other fruity wine such as rum, red cherry etc. In a bowl, put the mixed fruits and Marsala (or other fruit based wine) together. Let it soak for at least 1 hour. In another bowl, put the yeast, one teaspoon of sugar and milk. 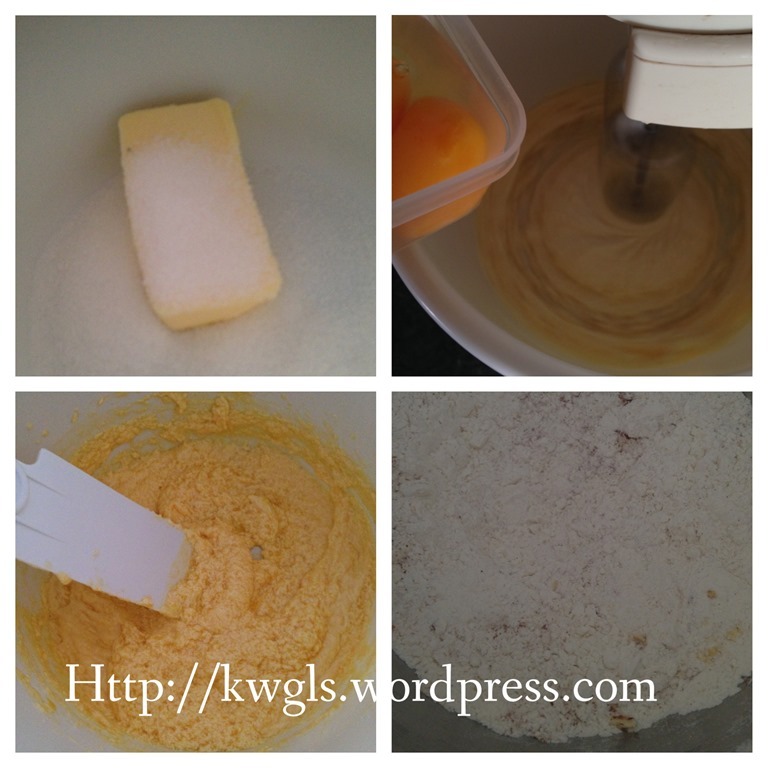 Stir until well mixed, leave it in a warm place until the mixture is frothy and slightly increase in volume. Cream the butter and the remaining sugar until light and fluffy. 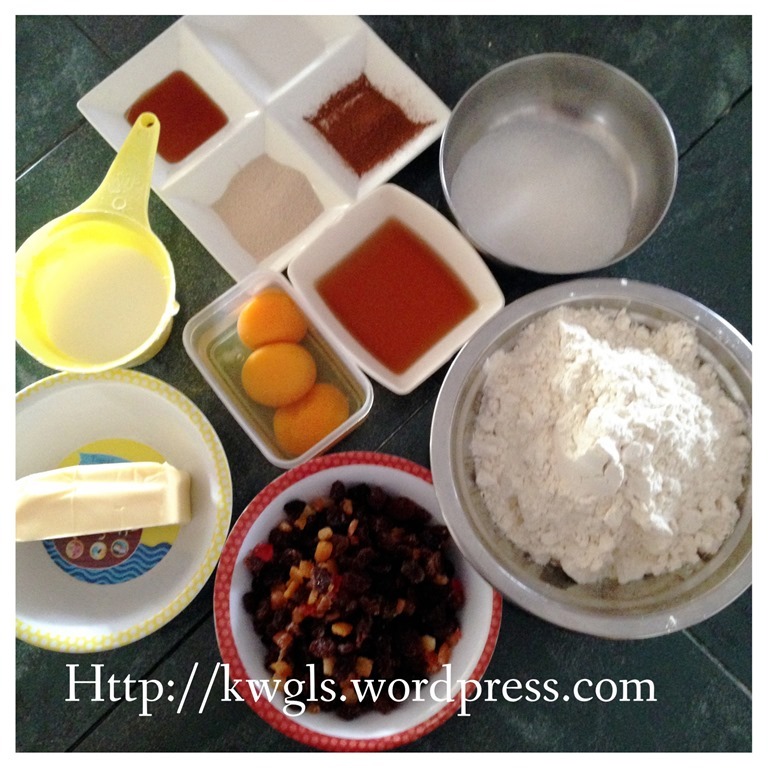 Add egg one by one and beat until well mixed. 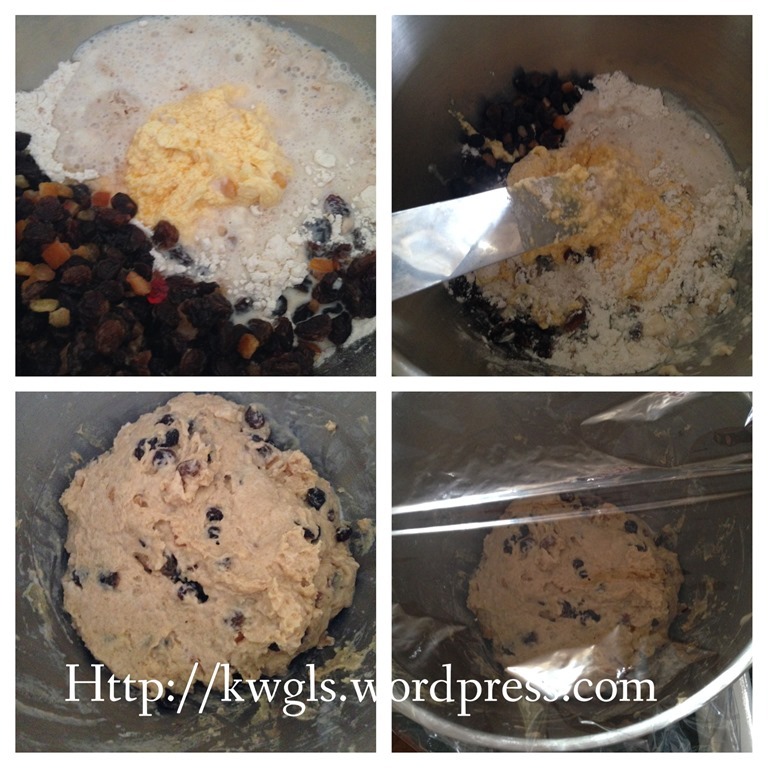 In another mixer bowl, put the bread flour and mixed spice, make a well in the centre. After the dough have doubled in size, transfer to a lightly floured surface, knead a few minutes until it is not sticky. If it is still very sticky, add spoon gradually (one tablespoon by tablespoon) until it did not stick to your hand. 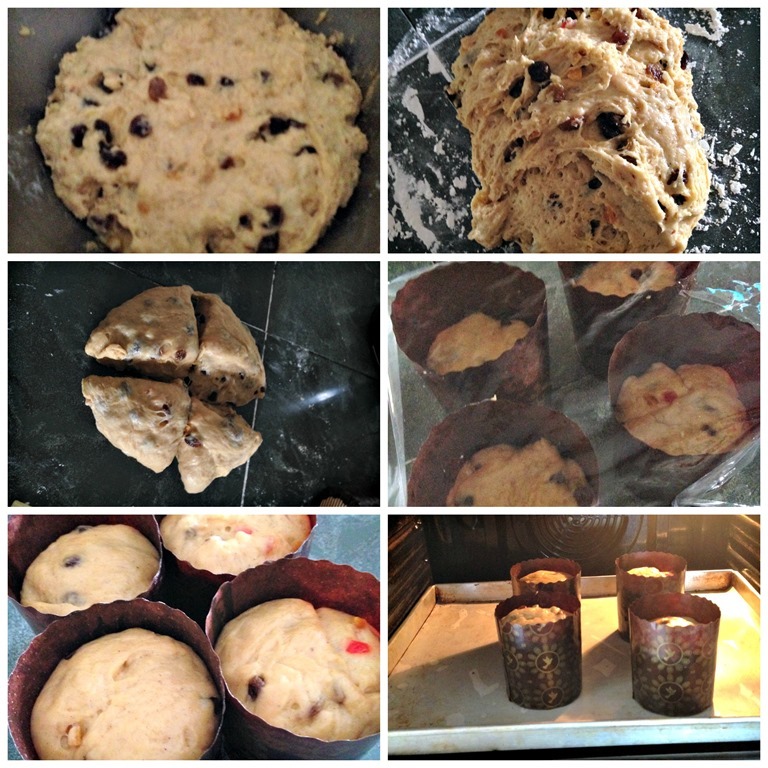 Divide into 4 portions and transfer to the 10 cm tall muffin cups for second proofing. Pre-heat the oven to 200 degree Celsius. Once the dough have double in size or reach about 90% of muffin cup’s height, bake in the pre-heated oven for 30-35 minutes or when a skewer inserts into the centre of the bread comes out clean. Can be served warm or cold if preferred. 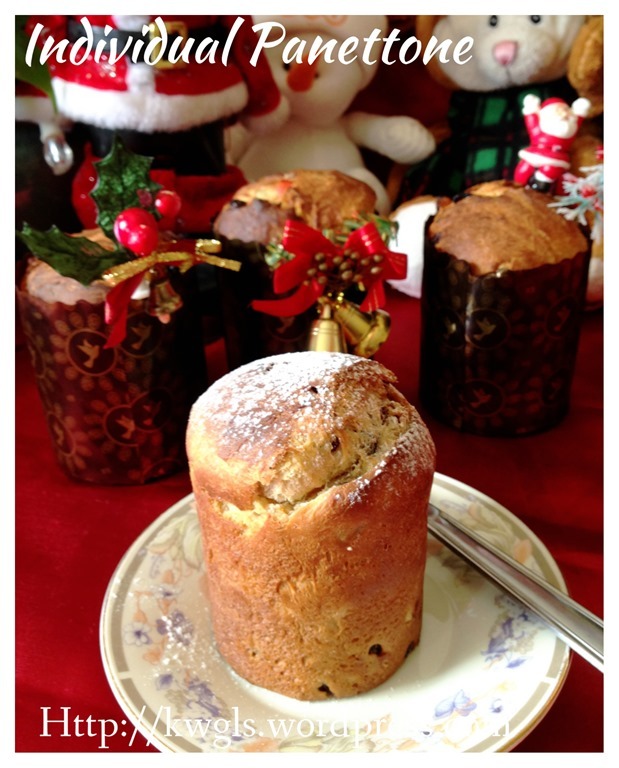 Christmas is a joyous seasons where there are lots of delicious food available for choices. You may not be able to finish this bread during the dinner. 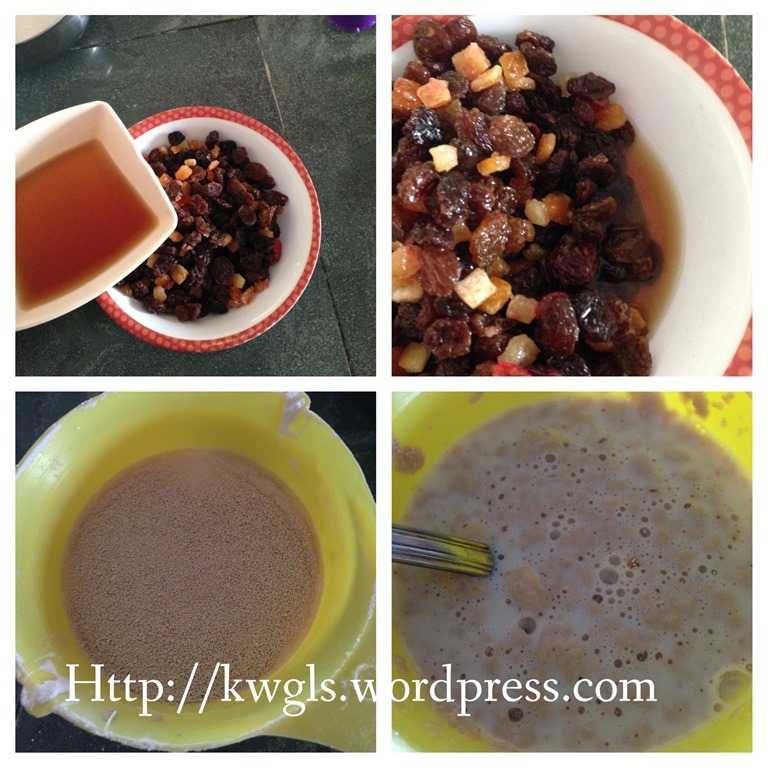 You can always keep it and prepare bread puddings few days later… This is one of the simplest and fastest recipe.. Why pay more where you can easily prepared at home? 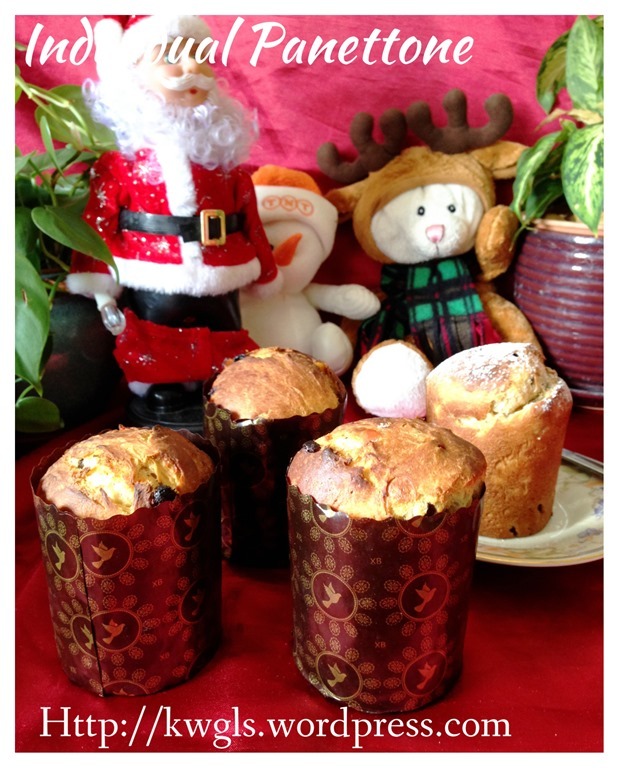 This entry was posted in Breads and Pizza, Christmas, Christmas 2013, Food Preparation Series and tagged 8, Christmas 2014, GUAI SHU SHU, Guaishushu, kenneth goh, panettone, postaday, 意大利圣诞面包. Bookmark the permalink. Nice .. will be trying this recipe out. Thanks KG! 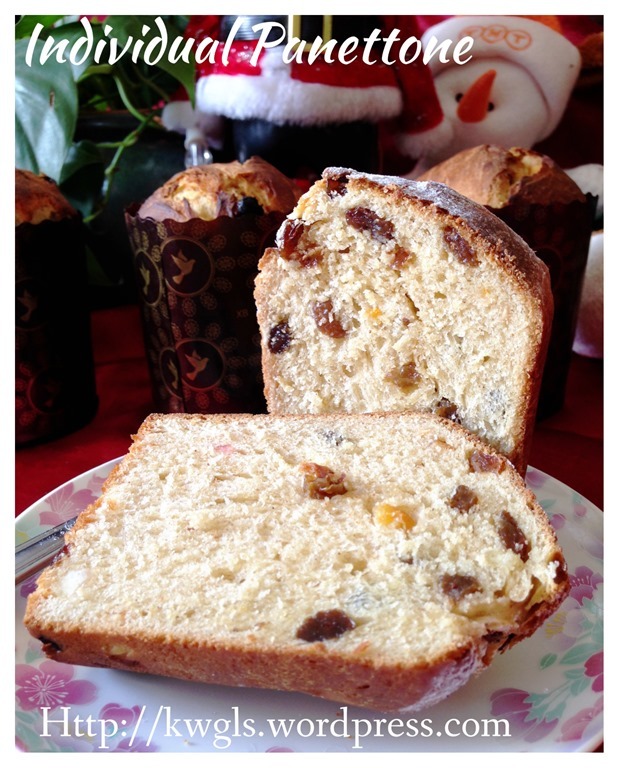 Where did you get the panettone case from? I found it in Phoon huat Singapore.